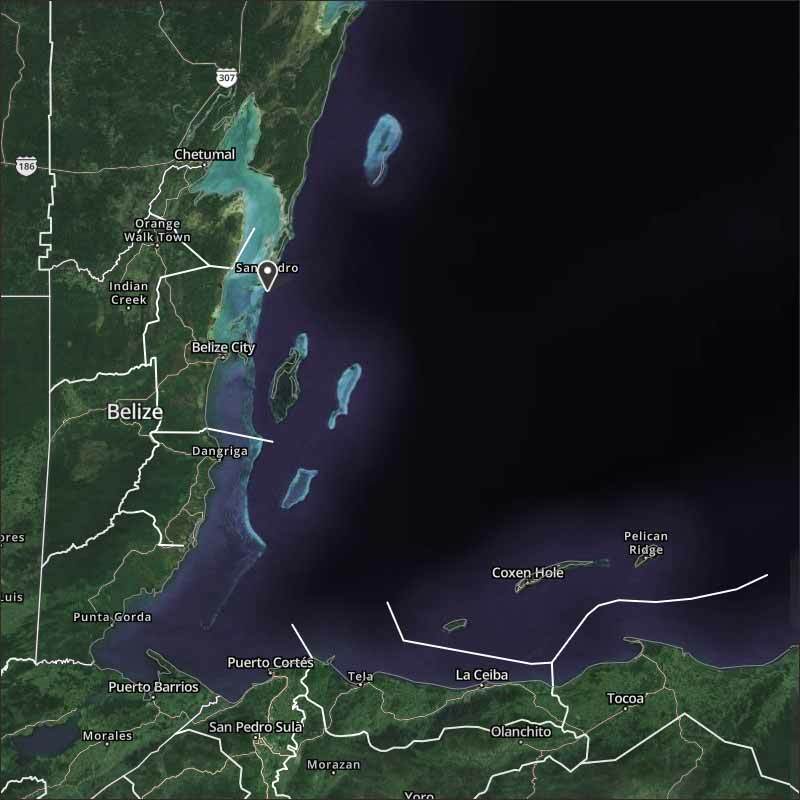 Belize NMS: Generally fair conditions will prevail. 24-hour forecast: Mostly sunny today with only isolated showers and cloudy at times tonight with a few showers or periods of rain over some coastal areas, decreasing tomorrow morning. General Outlook: For Thursday and Thursday night is for mainly fair weather with isolated showers. Today NE-E 5-10 kts Light Chop 2-3 ft ONLY ISOLATED SHOWERS. Tonight W-NW 5-10 kts Light Chop 1-3 ft A FEW SHOWERS OR PERIODS OF LIGHT RAIN. Tomorrow W-NW 10-20 kts Choppy 3-4 ft ISOLATED SHOWERS. Outlook NW 10-20 kts Choppy 3-5 ft ISOLATED SHOWERS. 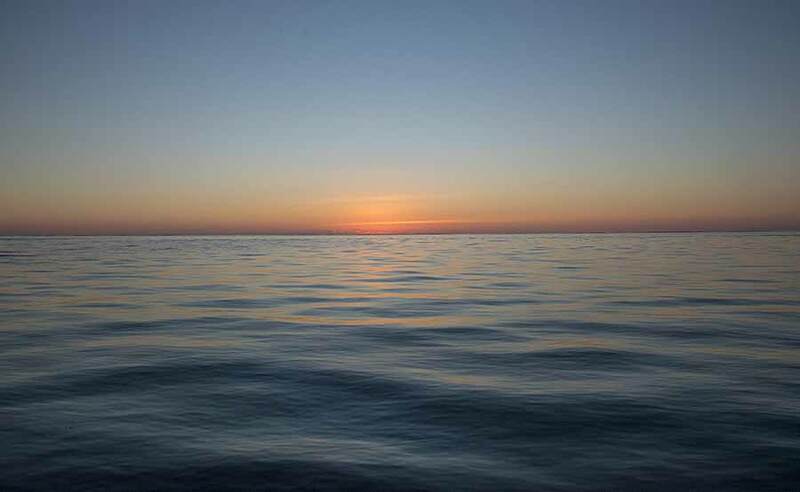 On Ambergris Caye this morning the flat calm sea around the Barrier Reef continues. The sky is cloudless and our expected high is 84 f.
Rather stable weather at present. 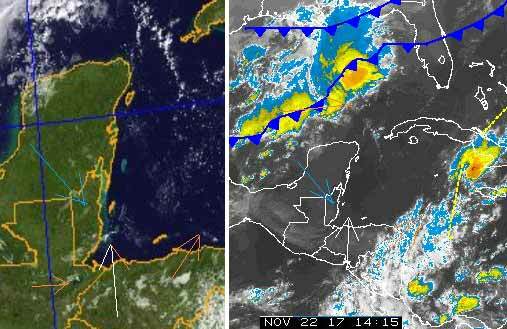 Cool air coming in from the NW and warmer but dry air coming up from the south, resulting in very little cloud over Belize and no rain. A double cold front over the Gulf means we will continue to have cool air for several days. Clear night skies will result in extra cold at night time as the Earth's radiation goes up into space, no blanket of cloud to stop it.